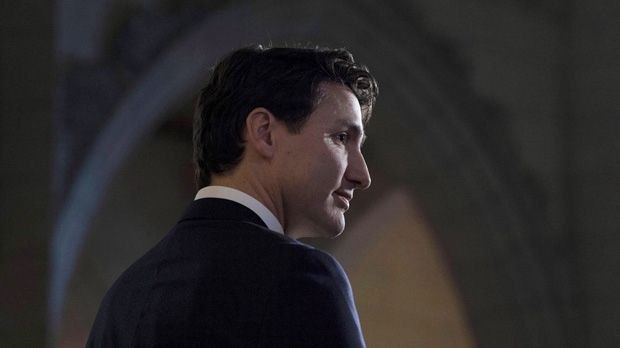 OTTAWA -- The Liberal MPs on the House of Commons Ethics Committee have defeated a motion to invite Prime Minister Justin Trudeau to testify on being found in contravention of federal ethics rules. Despite being defeated, the opposition says they won’t stop asking the prime minister to answer their questions. MPs held a special meeting Tuesday afternoon in Ottawa to discuss the Conservative motion calling for Trudeau to appear to discuss the conflict of interest and ethics commissioner's report on his family 2016 vacation to the Aga Khan's private island in the Bahamas. The meeting was a request of Conservative ethics critic Peter Kent. Kent's motion read: "That, the Committee invite the Prime Minister to discuss Commissioner Dawson's findings in The Trudeau Report released by the Commissioner’s office on December 20, 2017, and that this meeting take place either on January 17 or January 18, 2018." After some discussion from both sides on why the MPs did, or did not find it necessary to have the prime minister appear, the vote on sending the PM the invite was called, and voted down by the six Liberal MPs on the committee. The Liberals argued that Trudeau had already taken full responsibility for his actions and the further questioning wasn’t necessary, pointing to the town hall tour and daily question period once Parliament resumes as avenues for the Conservative and NDP inquiries. However, the opposition balked at the assertion. "We have been asking these questions in town halls and in question period and we haven’t been getting answers," NDP MP Nathan Cullen told reporters following the meeting. Both he and Kent argued during the meeting that there was no more fitting venue for their outstanding questions than a committee meeting, and that the town halls and question period were no substitution for getting to the bottom of the matter. "We'll continue to suggest that the prime minister at some point soon, I hope, appears before committee," Kent told reporters following the meeting. "It’s fine for him to take questions in town hall meetings, but he also has an obligation as a Member of Parliament who has been found guilty of four serious violations of the Conflict of Interest Act… to respond and to meaningfully answer questions from his colleagues in the House of Commons," Kent said. Liberal MP Nathaniel Erskine-Smith said he didn’t want the committee to become a "second question period" and argued that their time would be better spent looking at potential changes to the Conflict of Interest Act. Erskine-Smith, a previously outspoken backbencher, denied being told by the PMO how to vote, saying: "They never do, and as you may know, I certainly wouldn’t listen to them." Earlier Tuesday, Trudeau indicated little interest in the idea of testifying before the committee of MPs saying he thinks Canadians would prefer to keep "mudslinging" out of ethical matters. "I think keeping politics and partisan attacks to the side on this is what Canadians expect," Trudeau said in a radio interview Tuesday morning, when asked if he’d consider appearing before the House ethics committee. Trudeau said he was pleased that the federal conflict of interest and ethics commissioner operates "above partisan politics," to keep the office’s findings separate from "partisan attacks and mudslinging." When previously asked for comment on whether he’d offer to appear or if the motion to have him testify would be a free vote for the Liberal members on the committee, Trudeau’s office cited the independence of parliamentary committees. "We respect their independence and will not prejudge the outcome of committee members' discussions," PM spokesperson Eleanore Catenaro told CTV News. Not recusing himself from discussions that provided an opportunity to further the Aga Khan's interests. The Conservatives argued that the commissioner’s findings warranted further questioning, including on who else he met with while there. They also wanted to see Trudeau repay the $200,000 they say he billed taxpayers for the trip. While Dawson’s last day as ethics czar was Monday, Jan. 8, she is scheduled to appear before the ethics committee on Wednesday to discuss her findings.